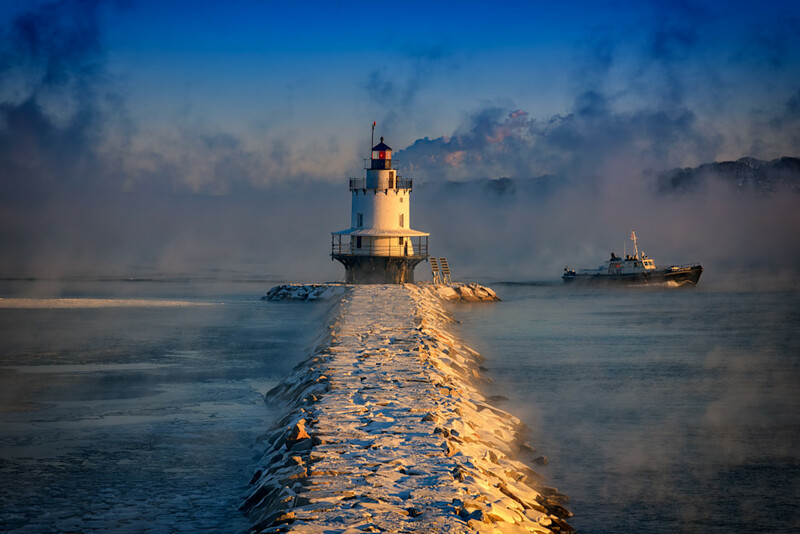 A Portland pilot boat passes through the sea smoke while steaming past Spring Point Ledge Lighthouse in Portland Harbor. Sea smoke is a fairly normal phenomenon to see on the more frigid winter days in Maine, as it is caused by extremely cold air moving over warmer water. Here, a pilot boat steams past Spring Point Ledge lighthouse and out in Casco Bay on a very frigid morning in Portland, Maine.